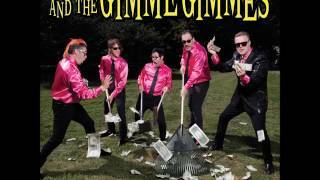 Aloha & welcome back, Me First & The Gimme Gimmes! The shrillest wedding band that punk rock has to offer worldwide is making its way back to Interlaken. Bridesmaids don’t need to be afraid but general warning, the free buffet will emptied and the karaoke stage taken all night. On stage, Fat Mike (NOFX), Chris Shiflett (Foo Fighters), Spike Slawson (Swingin’ Utters), Joey Cape and Dave Raun (both Lagwagon) will be singing and playing a unique cover set of old hits, also to be found on their best-of album “Rake It In – The Greatestest Hits” that was released in 2017.